In storyline and gameplay. 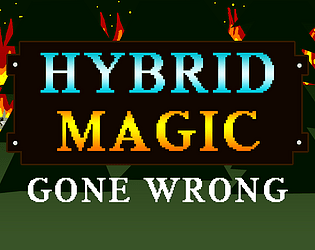 Storywise your a wizard that tried to make a hybrid magic between fire and ice. Gameplay wise it's a mix between diffrenent genres. "Would burn the forest and destroy everything again"
Funny gameplay, can be quite addicting! Fun story and appropriately frantic game. The game was fun. I was surprised that it has a audio slider and I like it. The 2. fireball was a real surprise and was super funny. But I had two serious issues. The game had a lot of slowdowns for me and at some point the music stopped playing. Reached a bill of $5410530 and would do it again.